Prototype: 2 Belgian State Railways SNCB/NMBS type I6 Eurofima compartment cars, 2nd class. The cars are in the current paint scheme and looks as they currently do in real life. 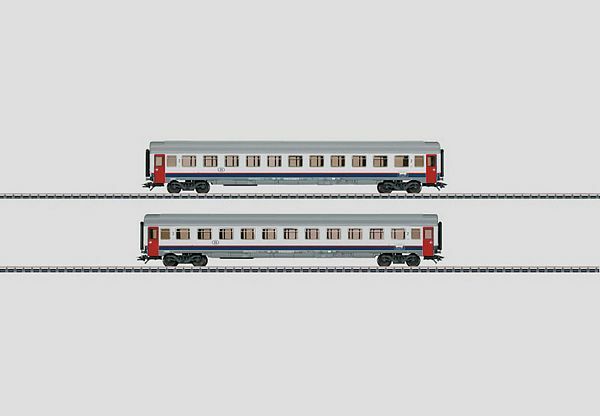 Model: 7319 current-conducting couplings or 72020/72021 current-conducting couplers can be installed on both cars. Total length over the buffers 53.0 cm / 20-7/8". DC wheel set per car 4 x 700580.